National Construction Training Services (NCTS) curriculum is designed to offer skills and development to everyone within the construction industry. From beginner to experienced tradespeople we offer a range of industry recognised qualifications designed to help you make the next move in your career, improve in a niche area or simply gain more confidence. We are dedicated to developing a curriculum which will benefit the construction industry and NCTS is open to all construction sector employers and those looking to develop or start a career in the industry. Level 3 NVQ Diploma in Construction Contracting Operations – General. Level 2 NVQ Diploma in Roofing Occupations (Construction) – Metal Roofing. Level 3 NVQ Diploma in Heritage Skills (Construction) – Metal Roofing. Level 2 NVQ Diploma in Roofing Occupations (Construction) – Fully Supported Lead & Metal Roofer & Cladder. Level 2 NVQ Diploma in Cladding Occupations (Construction) – Roof Sheeting and Cladding. Level 1 Diploma Roof Tiling. Level 2 Diploma in Slating & Tiling (Construction). Level 3 Diploma in Roofing Occupations (Construction) – Roof Slating & Tiling. Level 2 NVQ Diploma in Waterproof Membrane Roofing Systems (Construction) – Single Ply Membrane Roofing. 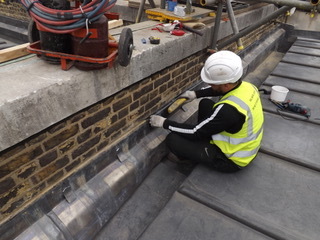 Level 2 NVQ Diploma in Waterproof Membrane Roofing Systems (Construction) – Reinforced Bitumen Membrane Roofing. Level 2 NVQ Diploma in Waterproof Membrane Roofing Systems (Construction) – Liquid Applied Membrane Roofing Systems.